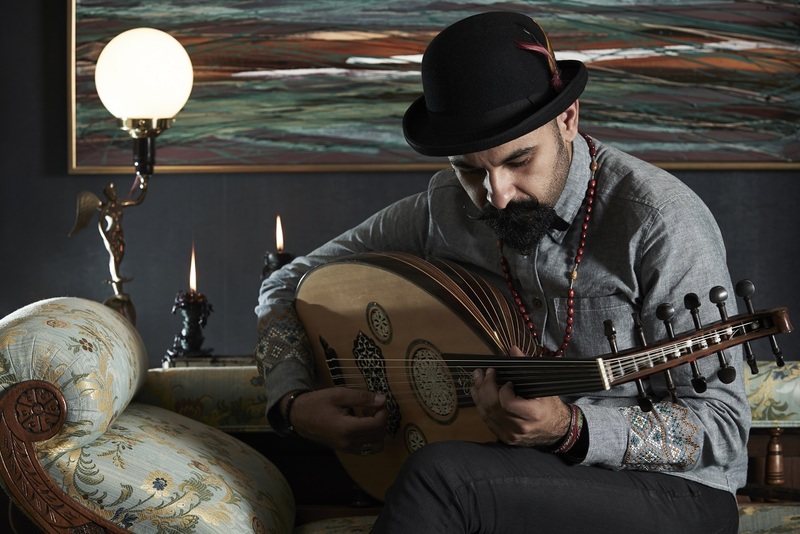 The flamboyant Joseph Tawadros is a multi-instrumentalist, best known for playing the oud. 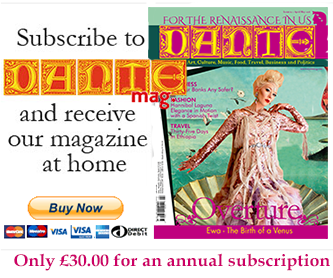 Massimo Gava meets the virtuoso and discovers more about his instrument of choice. 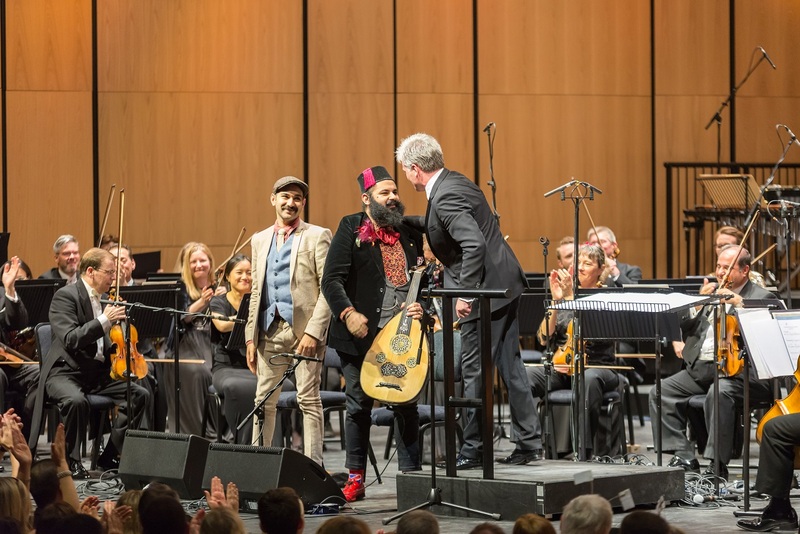 Joseph Tawadros has a jam-packed schedule. We meet in London the day before he leaves on a busy tour of Australia and Japan. 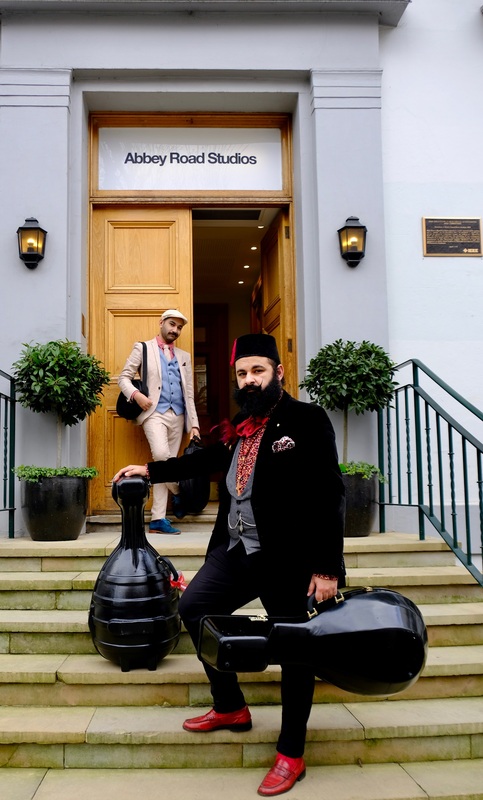 He is away two months before returning to the British capital to London in July, when he will be the first world music artist to present a solo original concert at BBC Proms. You can’t miss Joseph. He has a waxed moustache that has an air of Salvador Dalí, Hercule Poirot or especially King Farouk, the tenth ruler of Egypt from the Muhammad Ali dynasty. On his arrival, I good-humouredly comment on his unusual appearance and he warmly responds. From joke to joke, the conversation moves onto more serious topics such as old Egyptian movies of the 1920s and 1930s and one of our favourite poets, Kahlil Gibran. Joseph was born in Cairo in 1983. He moved to Sydney Australia, with his family at the age of two. He grew up in multicultural environment where Arabic art and music were part of the daily routine. 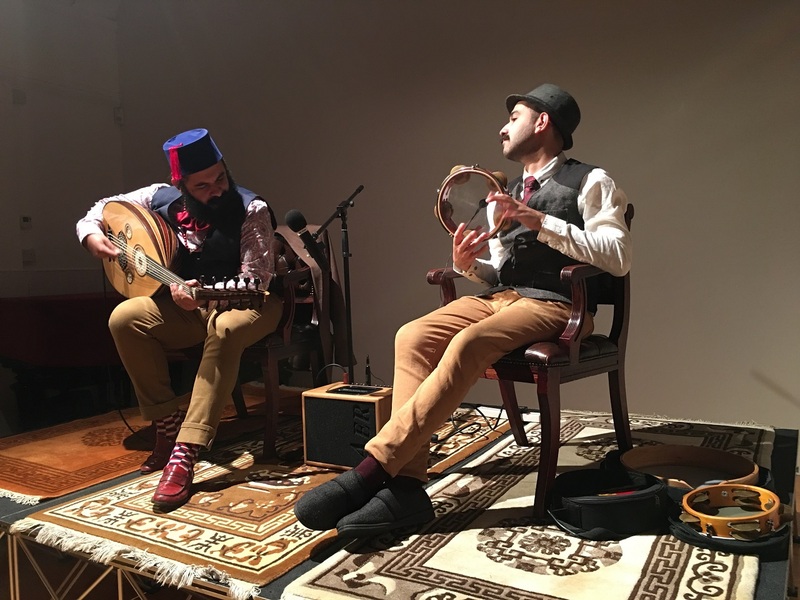 His grandfather and father played the violin, but it was his uncle, a trumpet player, who in a roundabout way connected him to the oud. He showed Joseph a classic movie about Sayed Darwish, who composed the Egyptian national anthem. The story, based on Sayed’s life, shows a young man who sells his late father’s golden watch in order to buy an oud because he wants to become a musician — and after various difficulties succeeds in becoming famous. So all the elements of the romantic life of an artist were there to inspire Joseph’s attraction to this unusual instrument. Even the drama surrounding Darwish’s death at 31 had all the ingredients of a modern rock-star myth. Some said he was poisoned and died from cardiac arrest, others suggested a cocaine overdose. The good news is that Tawadros has already passed that age, so is mercifully too late to create a copy-cat drama that could make destiny repeat history! We joke about it and I wish him well before his trip. At the age of 14, Joseph went back to Egypt with his favourite uncle and this was the first occasion that he became fully immersed in the atmosphere of Egyptian music. It felt like he had found his roots, he says. Joseph then trained classically, completing a Bachelor of Music at the University of New South Wales, Australia, where he was awarded a Freedman Fellowship for Classical Music. In the 2000s, he also studied in Egypt with violin player Esawi Dagher, son of the well-known violinist Abdo Dagher. During the years that followed, he spent three months a year in Egypt and learned to play other instruments such as the bamboo flute nay, the Arabic zither qanun and the cello. Since then, after nine nominations in as many years, he won the Australian Recording Industry award in 2012 for the Best World Music Album. He won it again in 2013 and 2014 and has been nominated every year. The oud is a pear-shaped instrument, often seen as the predecessor of the European lute. In fact, according to Joseph, it was the Arabic influence that brought the instrument to Spain and the rest of Europe. It has a warmer tone than a guitar thanks to its bowl shape and because it has no frets, gives its player the choice to play microtones. “The oud represents my indirect way to get back to my Egyptian heritage. I like the period before the 1952 revolution: that was considered the golden age of Arabic music and film,” says Joseph. In fact if you compare British, American or Italian films made in the same period it is incredible how little difference there is in the images and stories. It is a quite a contrast to images from Egypt we see now. But despite that, our favourite oud player set himself on a target of making an album every year. His last album, the 15th, is inspired by Charles Bukowski’s Bluebird poem. Joseph explains that one of his goals is to connect people with an instrument that they hadn’t known of before, from a region they might know little of. He considers himself equally Egyptian and Australian, and feels he is a product of Australia’s multiculturalism – connecting those from around the world regardless of geographic region. Instrumental music is a universal language. 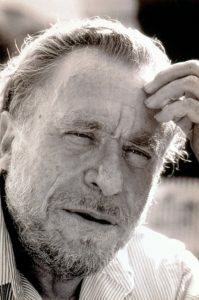 Bukowski’s melancholic tone hits the spot for Joseph too. He says that like instrumental music, the poem has so many secrets that it is ambiguous and means something to one person and something else to another and that’s exactly what he is after. When he sees people that connect with what he writes, he feels he has established a connection with them and he enjoys the fact that instead of simply facing an audience, he is meeting them as if they were a group of friends. 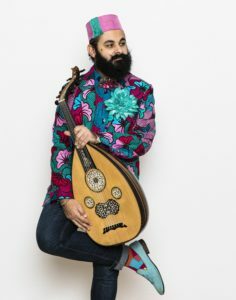 He feels that the oud has a lot to offer in many cultures and that’s what he is trying to explore, rather than having a concept dictated by a misleading perception of it. “It is often associated with exile, melancholia, refugees, sadness,” Joseph laments. “On the other hand, I think the instrument has the most positive energy and can give a feeling of peace to people. It has much more to offer than being simply a cliché of eastern music with a little oriental essence. I want to take it away from this old concept. The new album has a modern sound with piano, double bass, clarinet, oud and percussion. I notice that besides touring with the Australian Chamber Orchestra, he also tours with his brother who plays percussion. I asked if any other members of the family are joining him on tour? Joseph has been working with orchestras increasingly. 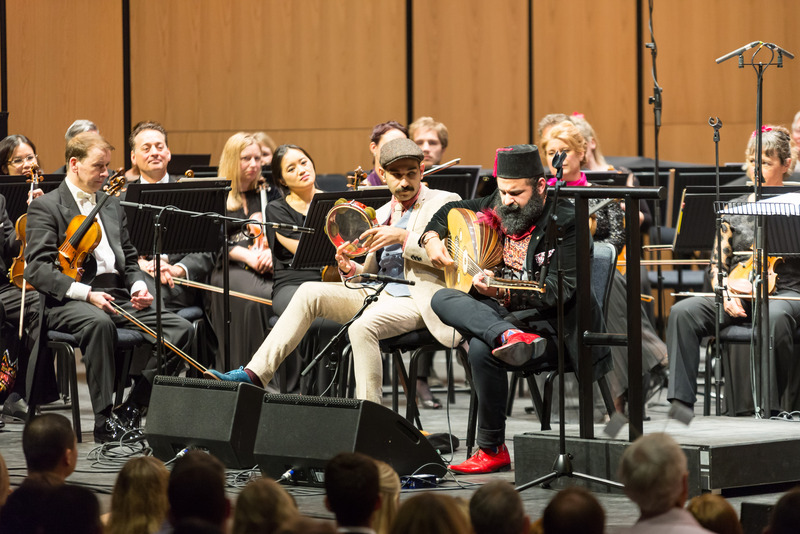 In Dubai, several Tawadros compositions were arranged by British conductor Jules Buckley who also directed the Quincy Jones Proms. 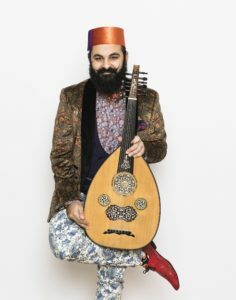 Last year, he was commissioned by the Melbourne Symphony Orchestra to write an oud concerto and its premiere was an important step forward for the oud in the classical world. “I am very interested in collaborating and with other people, as I did with Lior the Israeli-born Australian singer-songwriter, and we wrote a couple of songs together. 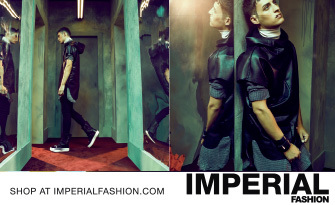 But I also like to collaborate with other types of music. I have worked with Neil Finn (of Crowded House); John Abercrombie, the jazz guitarist who passed away last year, Béla Fleck, the American banjo player; jazz guitarist Mike Stern; and Grammy award-winning double-bassist Christian McBride. The BBC Proms concert featuring Joseph was at the Cadogan Hall on July 30 last year. If his visa is sorted he will spend some time working in the States then Italy and to return in U.K. only in 2021 to play a concert at the Wigmore Hall. That’s how busy his schedule is. So catch him when you can.